When you think of the Southwest, you probably think of the summer heat. OK, so that’s the number one answer. Number two has to be the incredible blend of cultures. The Heard Museum in Phoenix is dedicated not just to preserve, but to advance the culture of the Native Peoples of the Southwest. 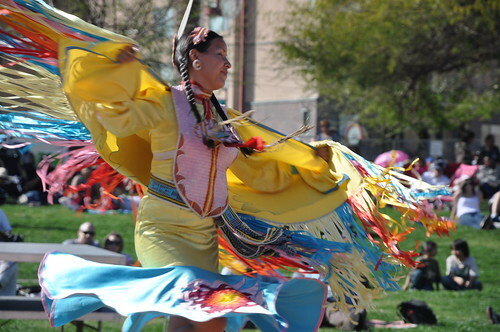 This weekend the Heard hosted their annual Indian Fair and Market. Native Peoples gathered from all over the country representing Nations as far away as the Aleutian Islands in Alaska. I learn something new every time I go. This year, I gathered an abundance of new treasures. A new bean dish is one of them. Now, I have a confession to make. I don’t like beans. I know! I know! How can I live in the Southwest and not love beans? It’s easy. Just leave them on your plate. 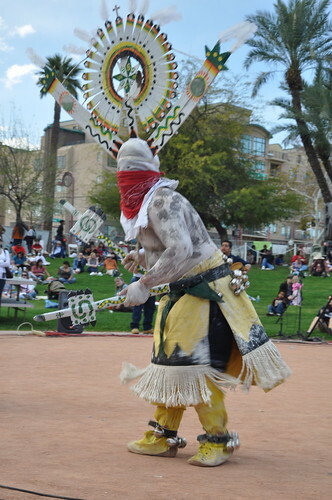 Pima Posole is a traditional recipe from the Pima Nation that uses tepary beans and wheat berries. Yes, wheat berries, not corn. Apparently, the tiny tepary beans are native to Arizona. The wheat berries are something of a surprise to me, too. The dish is more of a technique than a recipe, really. I’ve included it at the end of the post. First, I’d like to share a few of the other treasures I found at the fair. Isn’t this every Kachina doll you have ever seen? The Aravaipa are an Eastern Arizona Nation. 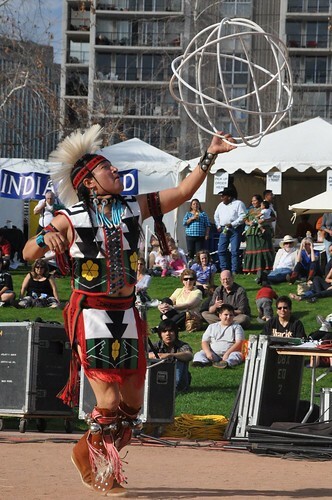 Check out the video of his 2010 World Champion Hoop Dance performance at the Heard Museum. Women danced and told stories with gorgeous shawls. At the close of the day’s activities, everyone was invited to join in the Friendship Dance. Try this posole recipe the next time you plan on serving beans. The wheat berries give the beans a mild, nutty flavor. Sort through the beans and wheat to remove any stones or sticks. Rinse. Cover beans with water and soak over night. Drain. In a large pot, cover beans with water, add marrow bone and salt. Bring beans to a boil. Reduce heat and cover. Simmer for 2 hours. Rinse wheat berries, drain. Add to wheat berries and salt to the beans and add more water or stock. Bring back to boil, reduce heat and simmer 1 more hour or until the beans and the wheat are tender. Remove the bone. Drain excess water, the posole should be moist and have a little broth. Test for seasoning and add more salt if desired and black pepper. 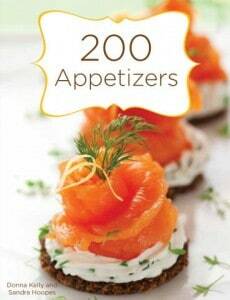 What a great post – great recipe and beautiful photos. Can’t wait to try this dish! 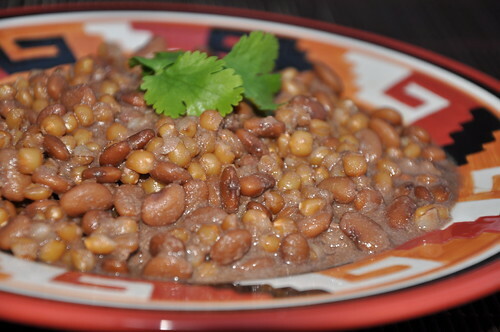 How much wheat berries do you put with the beans? Julie, Thanks for noticing that the wheat berries were missing from the recipe. They are one of the best parts! I added them to the post along with a few changes to the directions. Hopefully, the changes will make it easier to follow.